Cultural Heritage Administration has announced the major palaces and royal tombs in Seoul will remain open on New Year’s Day, despite being a designated holiday. Greet the new year during your visit to Korea at any one of the historic cultural sites listed below. There are a total of 40 Royal Tombs of Joseon Dynasty spread throughout 18 regions of Korea. 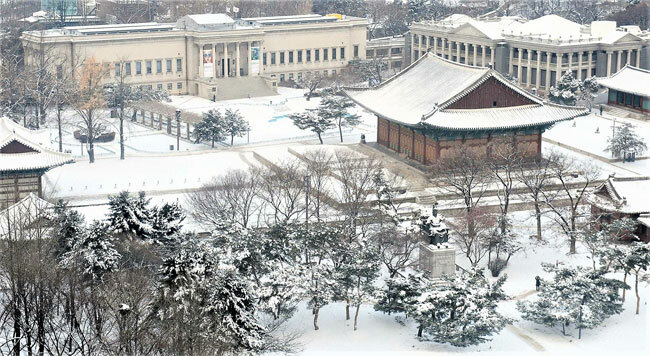 ※ Gyeongbokgung Palace closes on Tuesdays, and therefore will open under regular operating hours on January 1 (Monday). – Directions: Gyeongbokgung Station (Seoul Subway Line 3), Exit 5. – Directions: City Hall Station (Seoul Subway Line 1∙2), Exit 2. – Directions: Anguk Station (Seoul Subway Line 3), Exit 3. Walk approx. 5 min. – Directions: Hyehwa Station (Seoul Subway Line 4), Exit 3. Walk approx. 13 min. – Directions: Seolleung Station (Seoul Subway Line 2∙Bundang Line), Exit 8 or 10. Walk approx. 5 min.